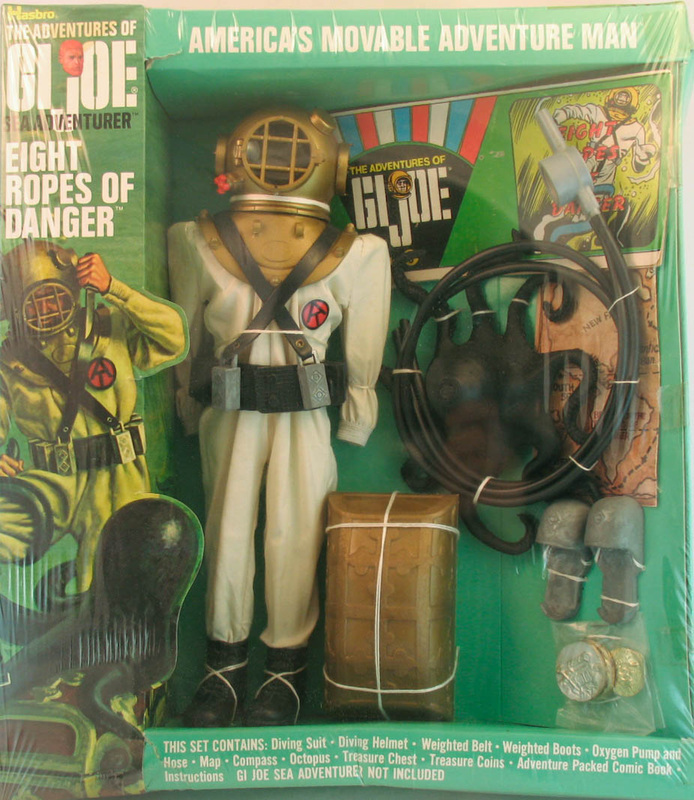 Deep sea diving equipment had been a staple of the GI Joe line since its introduction in 1965. Eight Ropes of Danger (7422) is essentially a window box repackaging of the same set released in 1969. The box art is fantastic, and shows Joe using a knife that didn't actually come with the set. The full weight set of the military era Deep Sea Diver had been reduced by 1969 and 70 to just four metal weights on the belt as shown below left. In 1973 it was further reduced to just two weights on the front in both Eight Ropes of Danger and Mystery of the Boiling Lagoon. Below, an unused box that was never folded to shape.